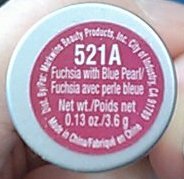 Fuchsia with Blue Pearl is a beautiful color that looks exactly like its name. I love it when things are named what they are. Sure, the clever names cosmetics often have are cute and fun, but I like to be able to pick something up and know exactly what color and tones I'm going to get. So many things look different once they are applied, because we aren't wearing that many layers of the product on our skin. 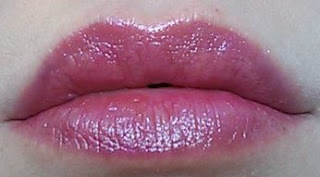 In the tube, Fuchsia with Blue Pearl looks very dark, and very purple. 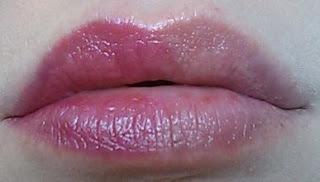 On the lip, it sheers out to a stunning truly vivid fuchsia, and the blue pearl shimmers and plays over the lip curvature to really emphasize and magnify the lip.